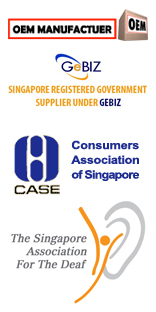 Below are some of the products used for Soundproofing walls. There are a few different methods and options when soundproofing walls that can be done to achive the desired results. Depending on your budget that you want to spend will reflect the noise reduction you can achive, thickness of system and types of noise reduction performances. Some of our best system that are used on the market are systems such as our STC 65 Wall System that has been creating a lot of interest since 2015. 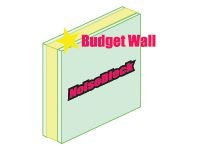 The budget soundproofing wall system is designed for multiple noise problems applications. 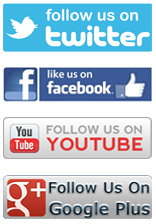 such as: Office wall soundproofing, Bedroom Wall Soundproofing, Education Center joining walls and many more. Installation can be done by our skilled workers or even by yourself or your own contractor. The panel features our NoiseBlock™ Technology for the best results in wall soundproofing. This system is a best seller on the market. The Level 1 soundproofing wall system, is the next step up on the ladder. This soundproofing wall system is designed to combat low bass frequencies or impact noise such as music noise, bass guitar or electric drums. 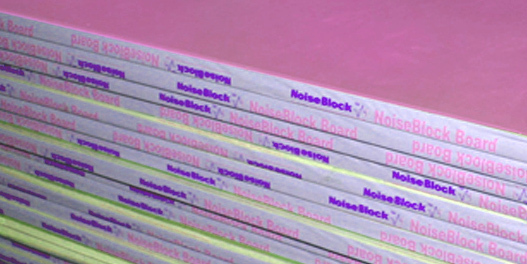 When it comes to soundproofing materials, systems and products NoiseBlock performance is the best in the market. 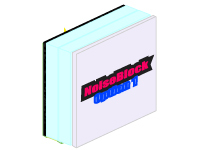 NoiseBlock STC 65 Walls System was created in through year of Research & Development and skematics left in the vault of our labs until introuduced it into the market in 2015 for a recording studio and then later into some goverment projects. Netaro Nelsons use of STC 65 as the standard for theater acoustic is now considered as new aceptable classification level for industry standards. 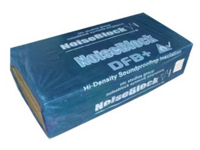 NoiseStop Systems - NoiseBlock DFB 200 is a soundproofing grade of insulation material specificaly researched, designed and manufactured for the purposes of noise control. Unlike thermal grade 'Rockwool' type insulation there is no comparison to the noise reduction capabilities of NoiseBlock. The comblination of its high density, polymer binders and core mixture result in the highest noise reduction material available world wide. It is designed to be used in a timber frame and then using an 'Acousti Wall' Panel to finish off the soundproofing System. 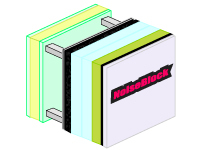 NoiseStop Systems - NoiseBlock DFB 200 Kg density Laminted gives the highest levels of noise reduction yet from a 'Rockwool' type insulation material. The laminated Alloy sheet attached to the slab creates further shielding against low bass frequencies by conduction and dissipation. This results a much better acoustic performance over a wider frequency range. 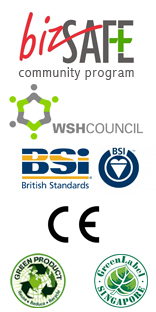 The finishing of any soundproofing wall is not complete without our high density multi compound mineral board. As with any system the final layer needs to be able to be painted and give the feeling of a normal room. 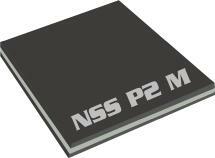 This specially designed board is constantly being improved over the years to what we now consider to be a very impressive product. 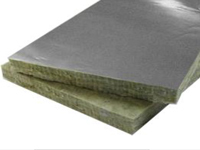 NoiseStop wall soundproofing board is a high density mineral board designed to panel Acousti Wall 1 is a great board product that works well on walls and ceilings. You can plaster direct to this product and offers great airborne reduction. 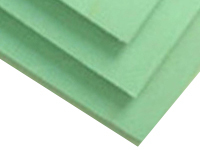 EcoBoard is a environmentally friendly green gypsum board product, made from 100% recycled gypsum board to reduce your carbon footprint and make a greener world. 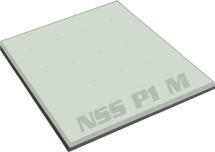 NoiseStop Acousti wall 1 is a great board product that works well on walls and ceilings. You can plaster direct to this product and offers great airborne reduction.